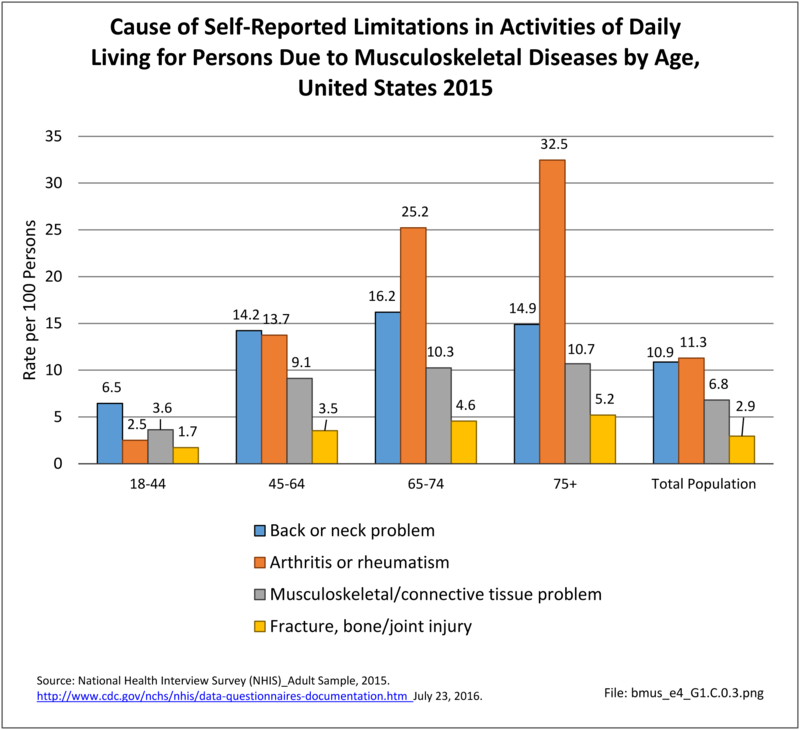 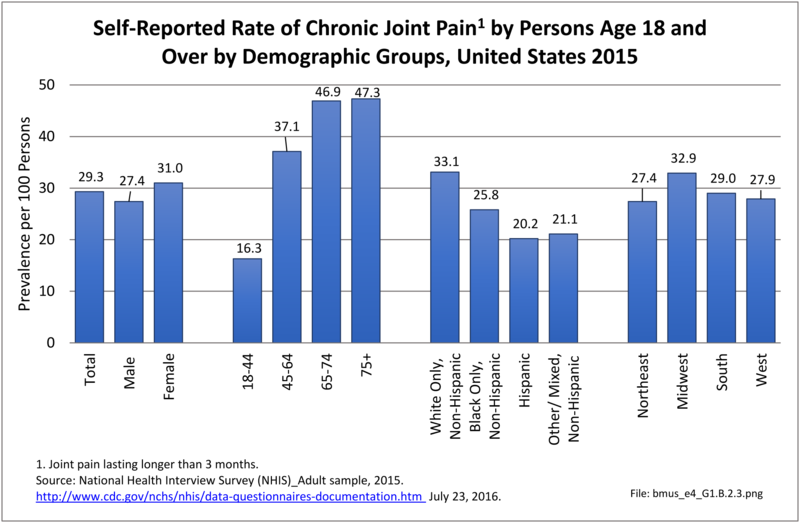 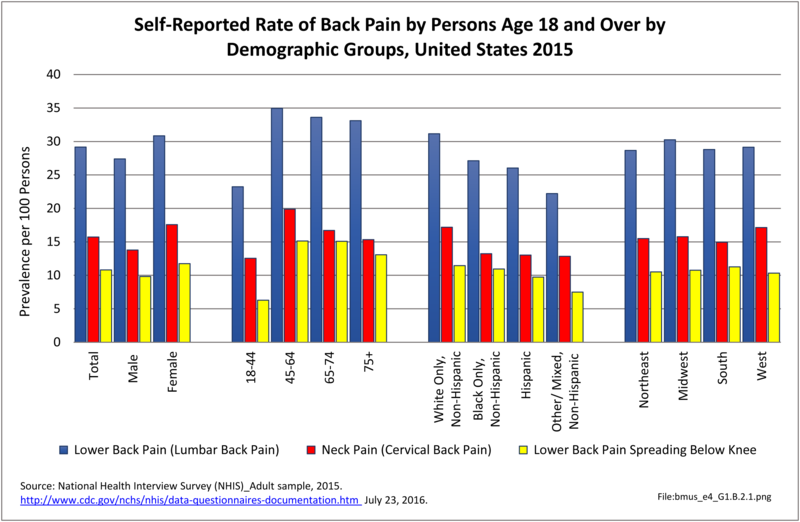 More than one in two persons age 18 years and older in the US population reports a chronic musculoskeletal condition. 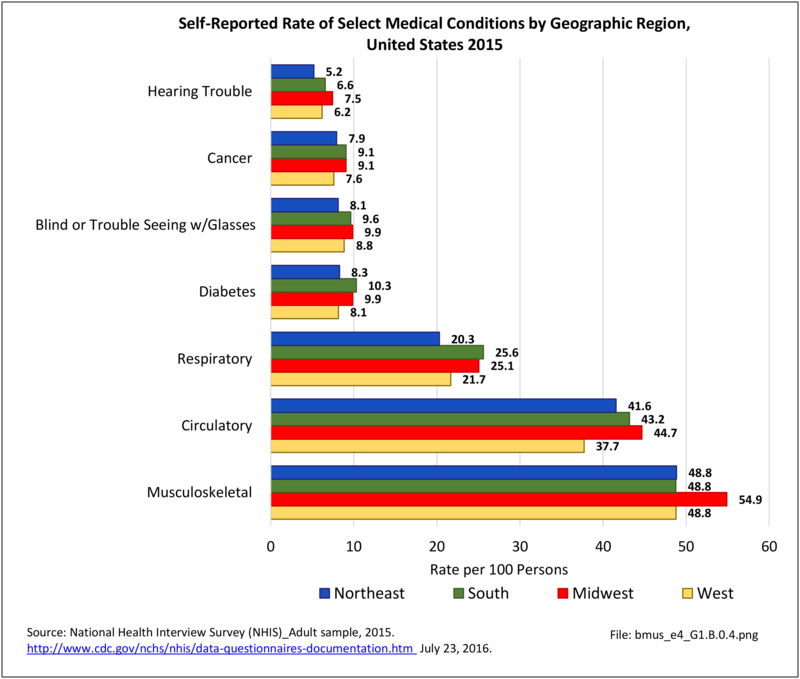 This compares to a rate of 42 and 24 persons per every 100 in the population for circulatory (including treatment for high blood pressure) and respiratory conditions, respectively. 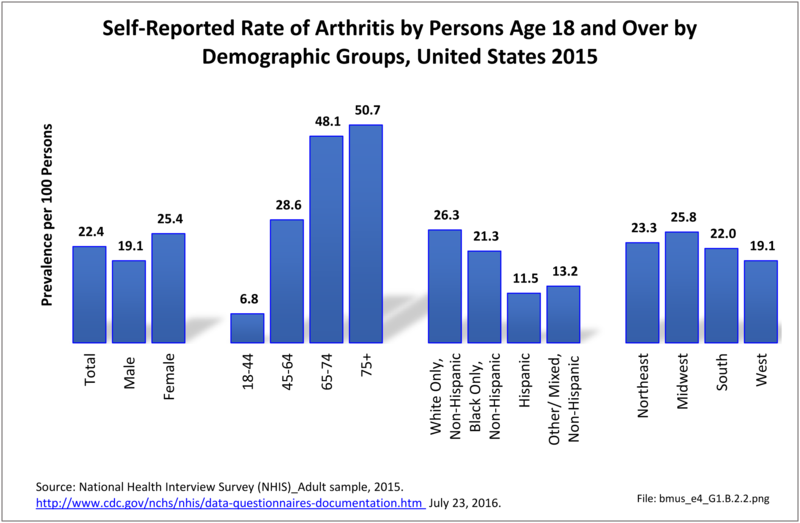 Chronic low back pain, joint pain, and disability from arthritis comprise three of the top five most commonly reported medical conditions. The two non-musculoskeletal conditions are chronic hypertension and chronic high cholesterol. 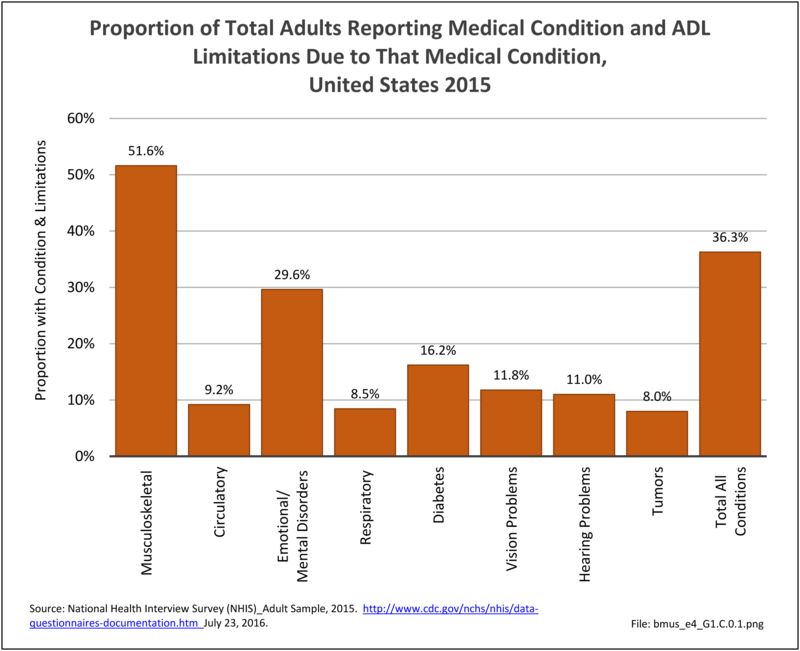 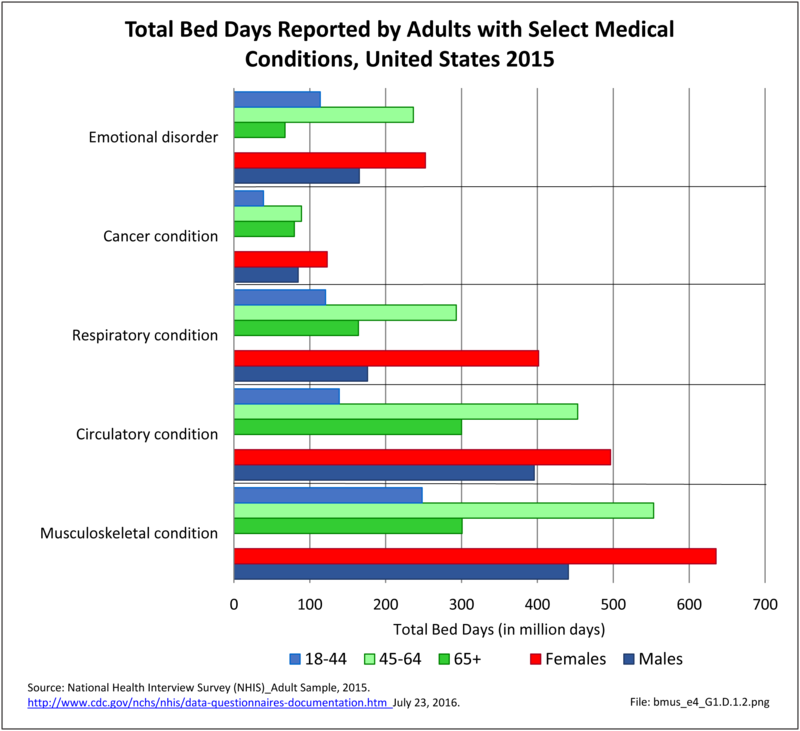 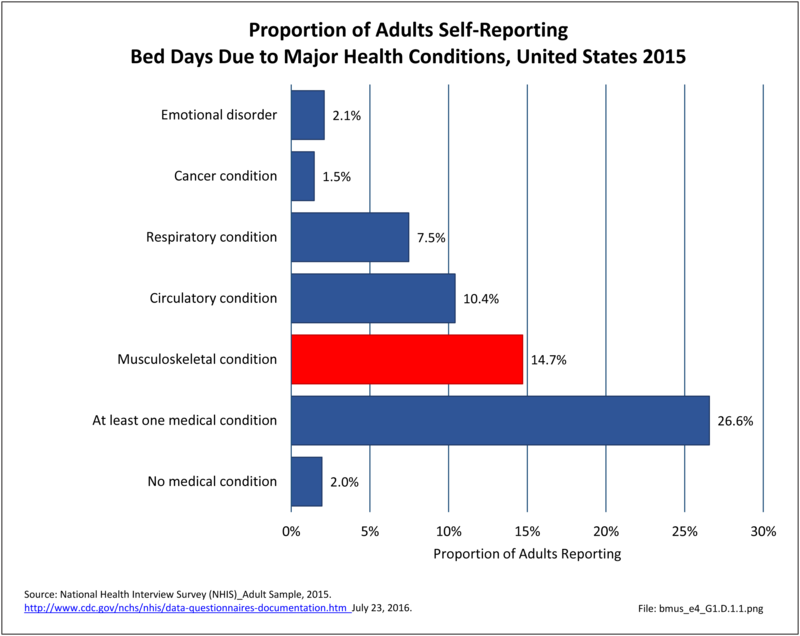 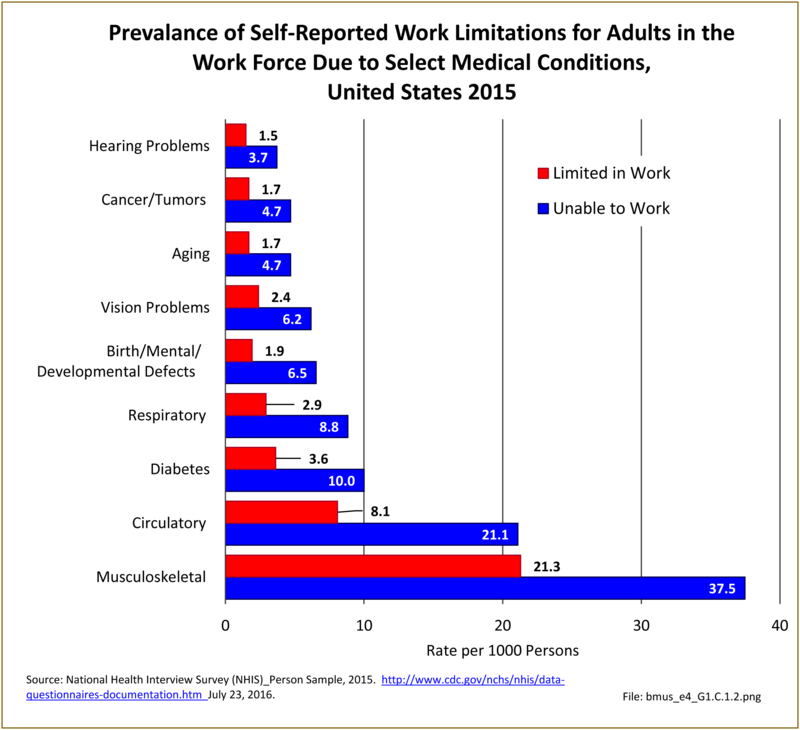 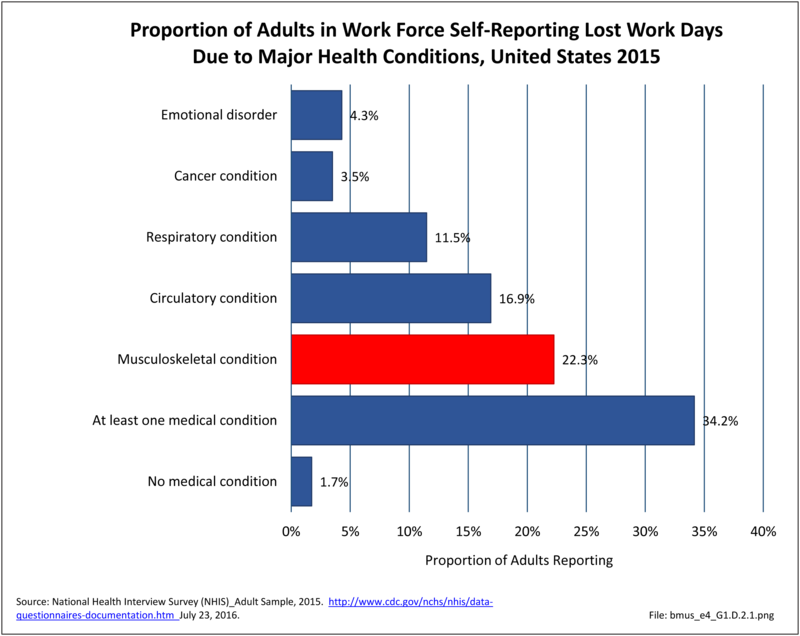 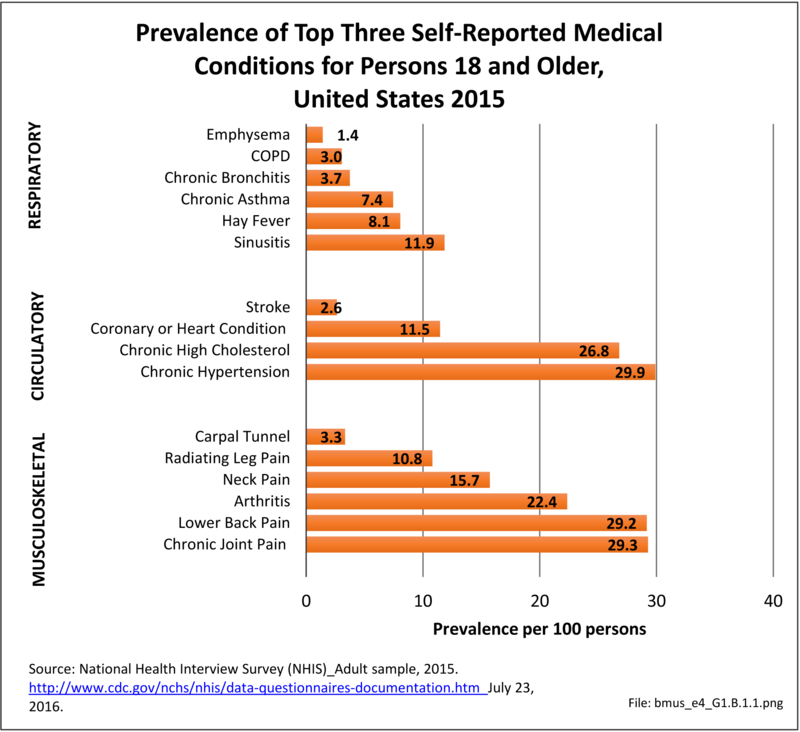 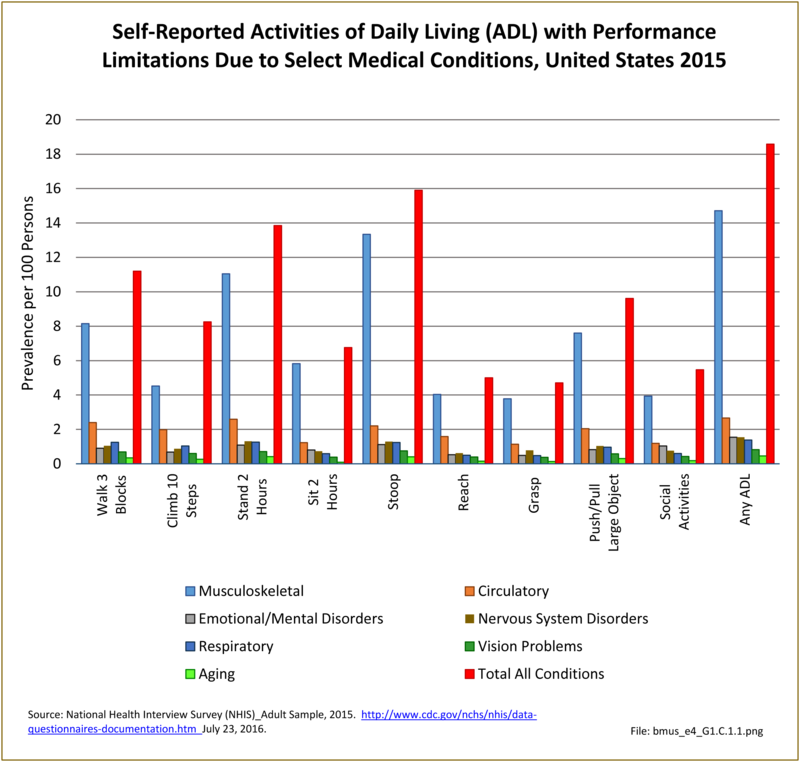 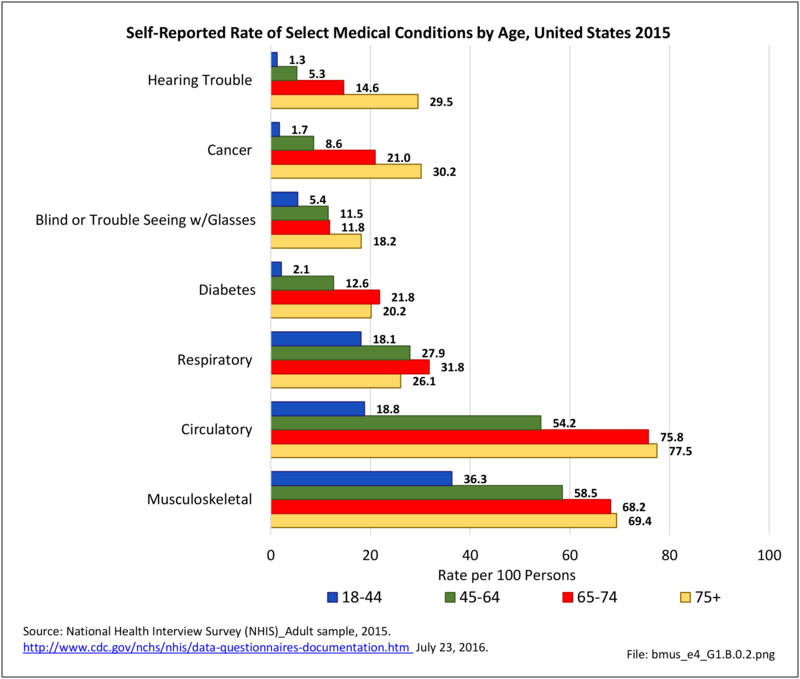 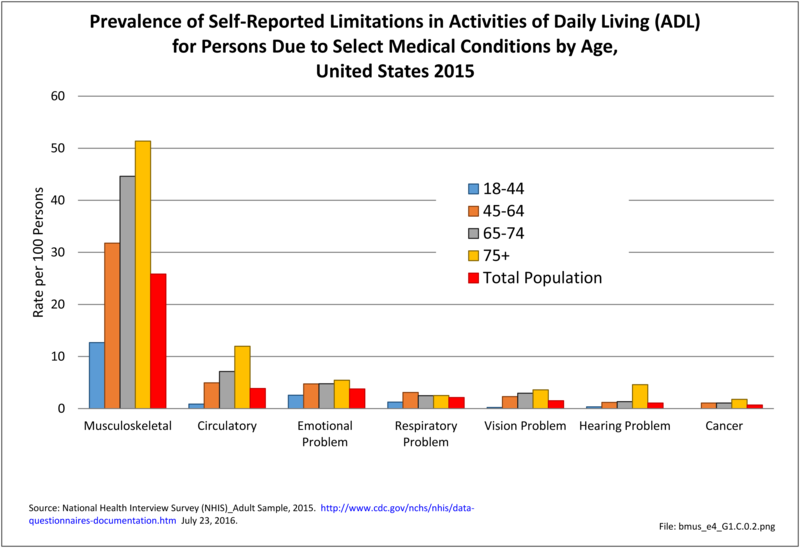 All five conditions were reported by 55 million or more persons in 2015. 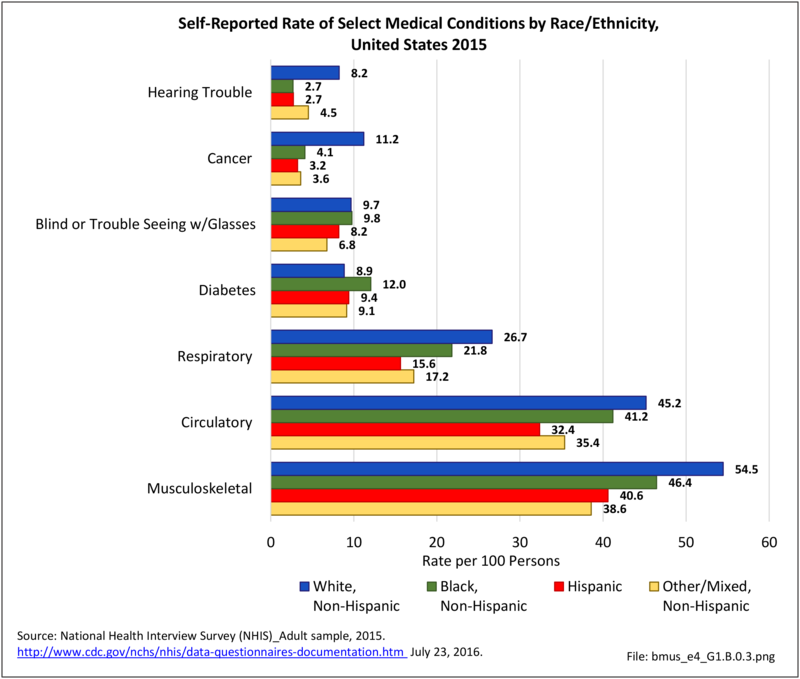 This compares to less than 30 million with other common conditions such as coronary or respiratory conditions. 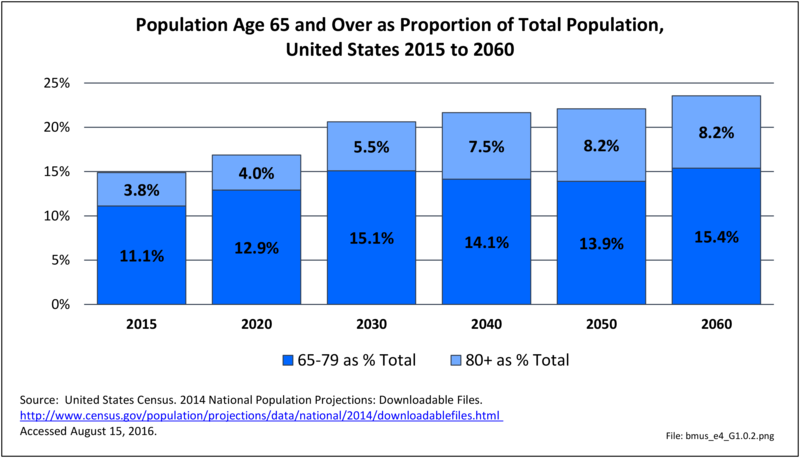 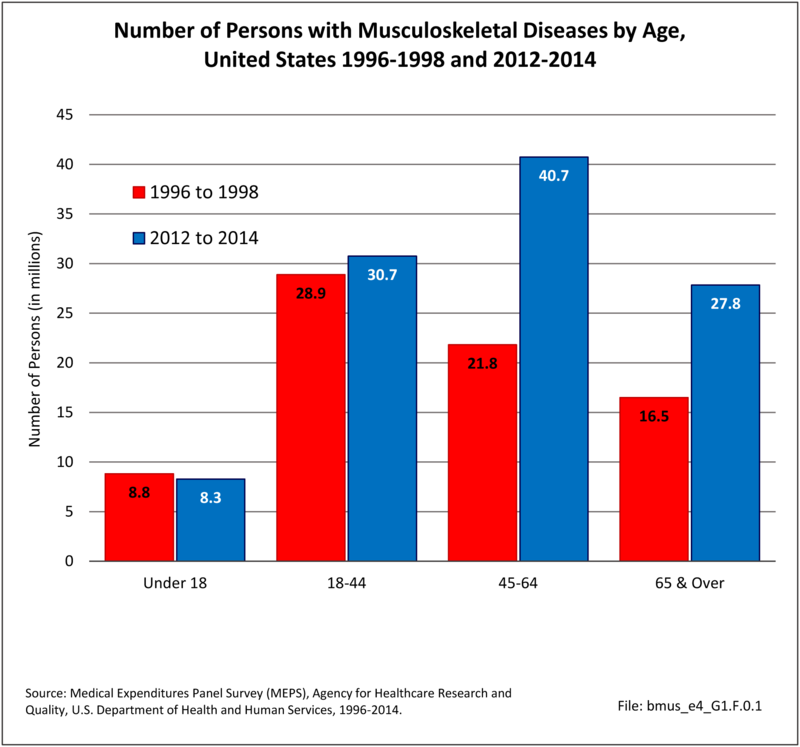 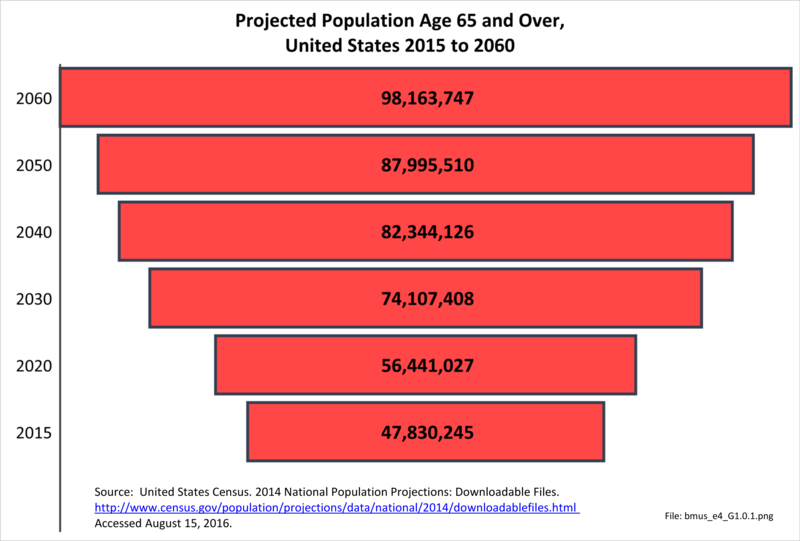 The number of persons suffering from musculoskeletal conditions is expected to continue to increase as once active individuals move into their older years. 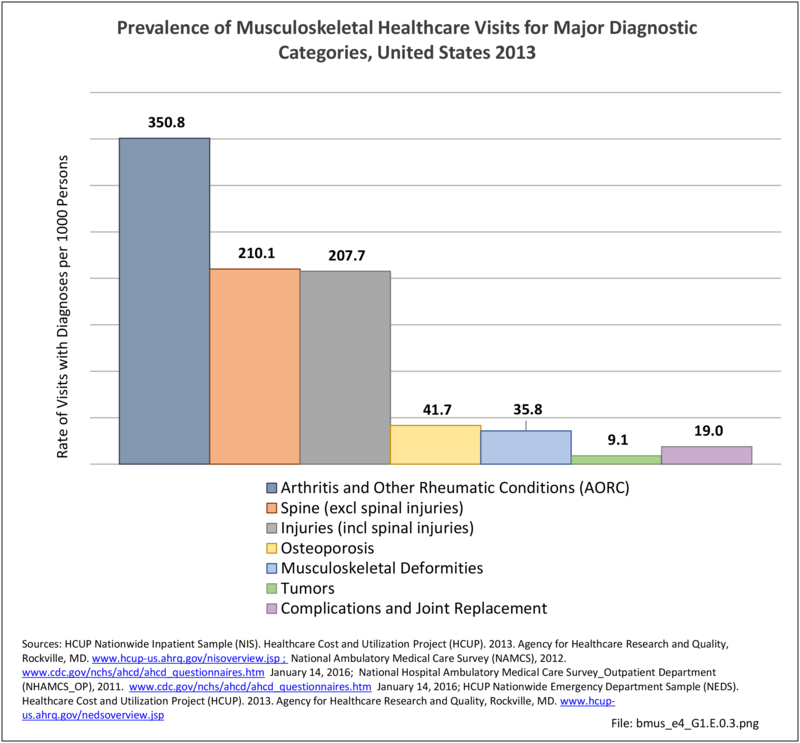 The cost to treat the pain and disability resulting from musculoskeletal diseases is rising rapidly. 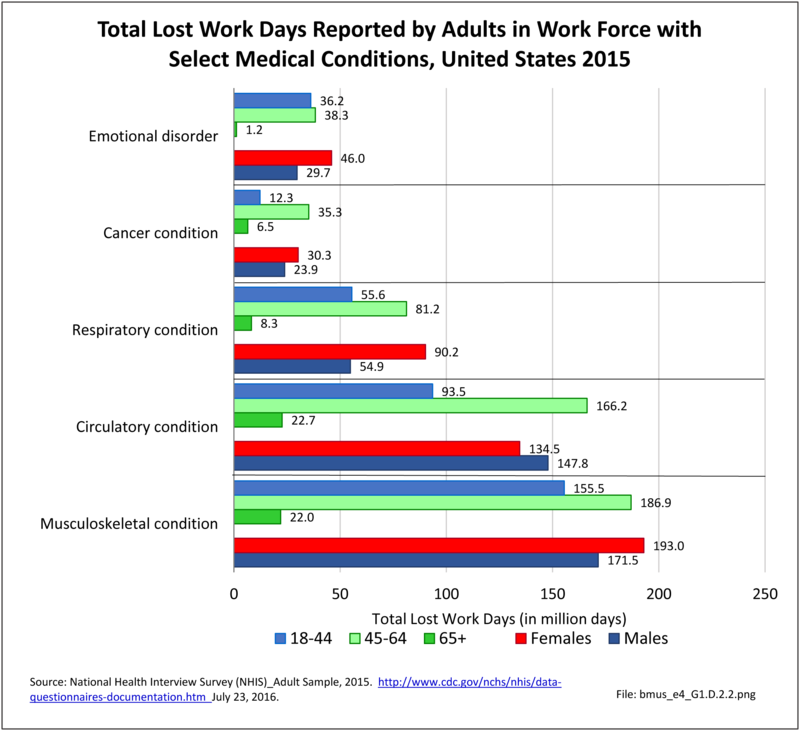 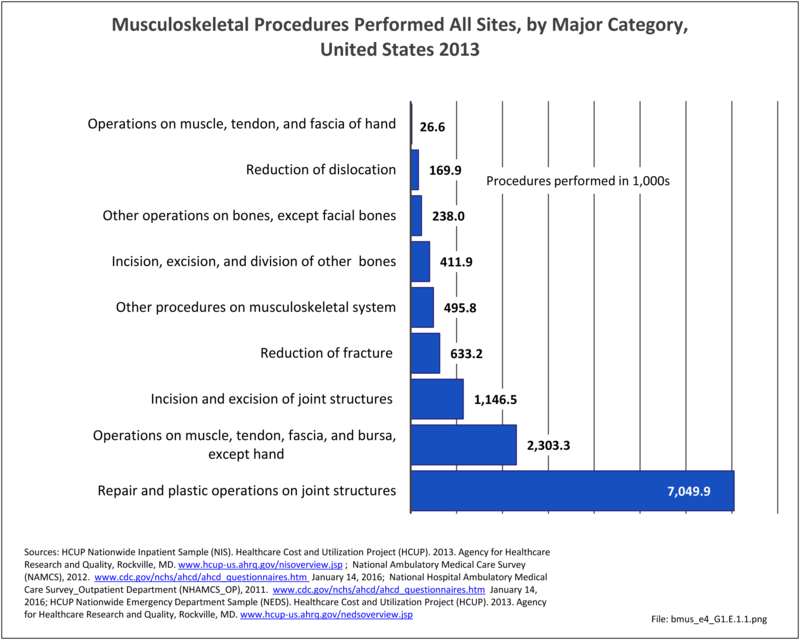 The annual average direct and indirect (because of lost work) costs attributable to persons with a musculoskeletal disease were $322 billion between 2012 and 2014. 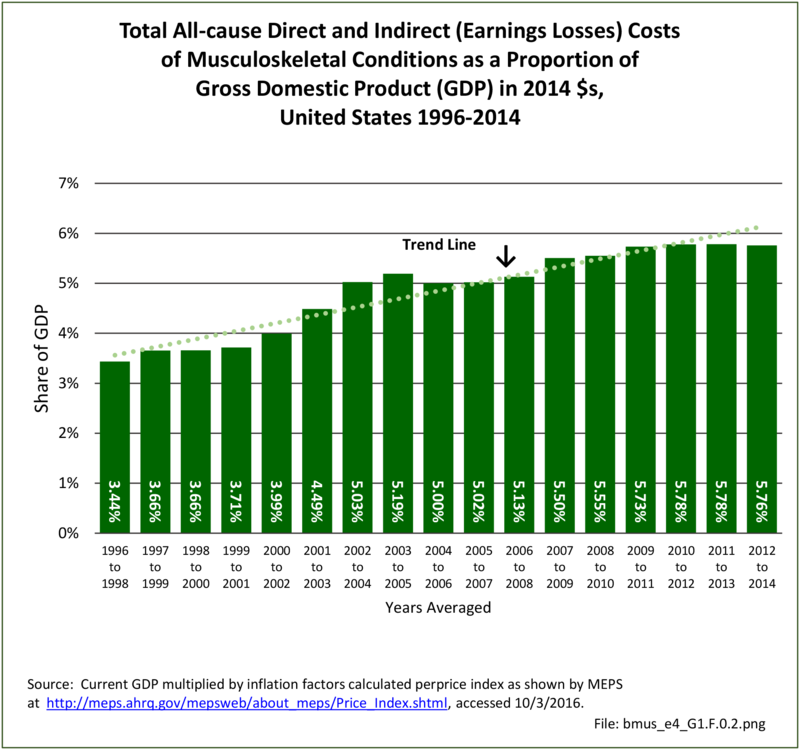 Over the last 18 years, costs associated with musculoskeletal conditions have risen from 3.44% of the GDP to 5.76%. 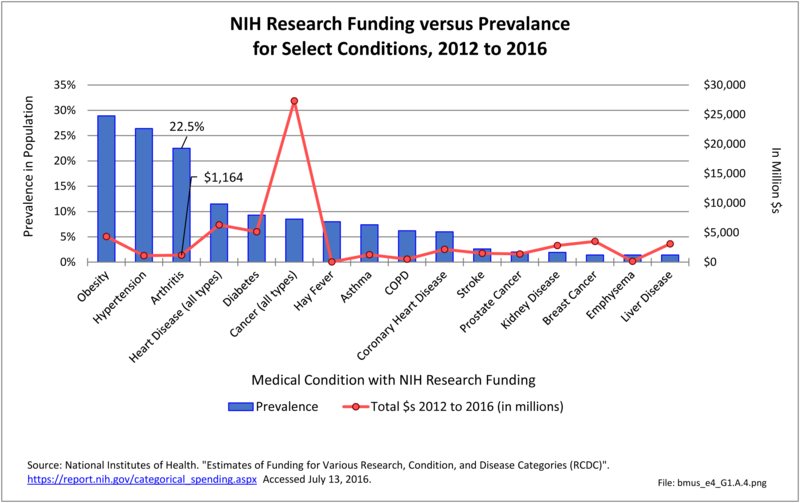 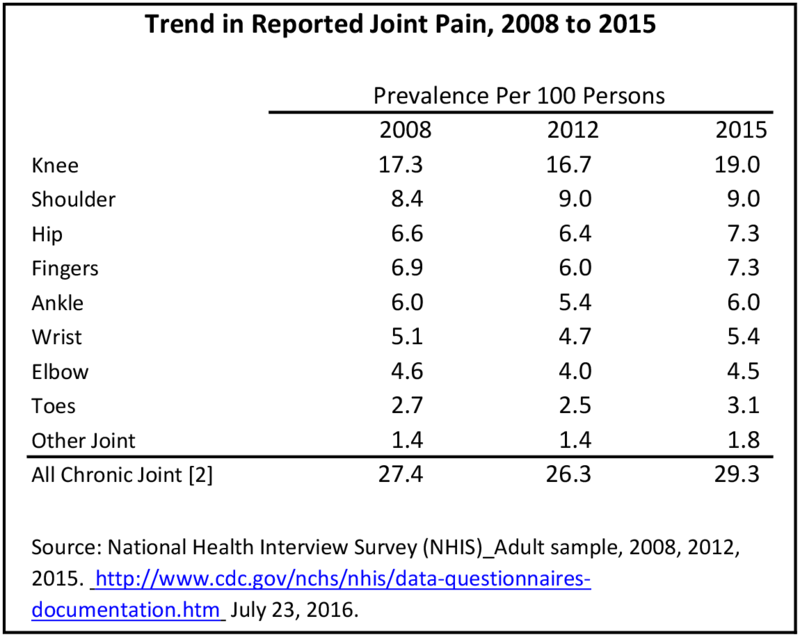 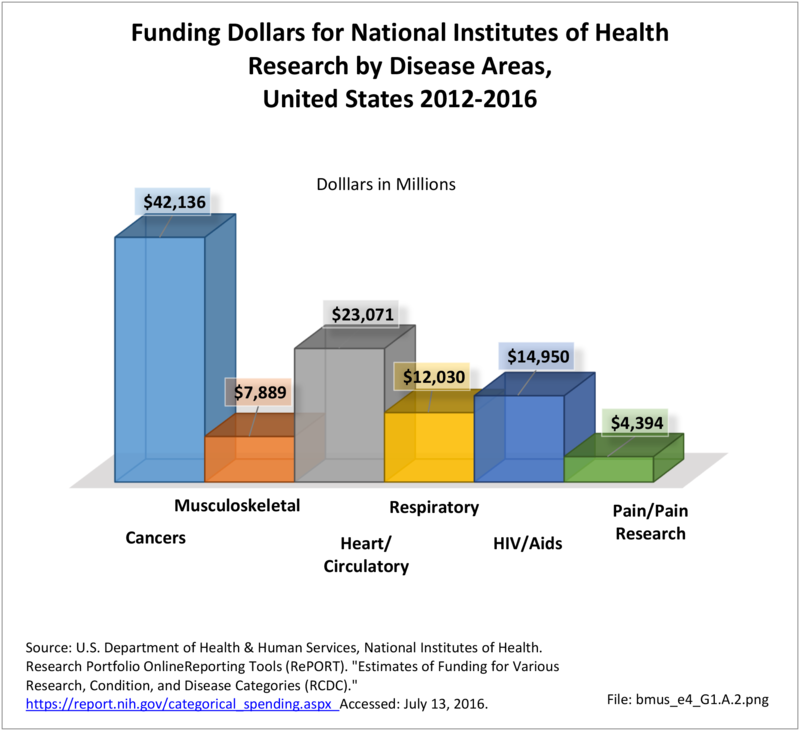 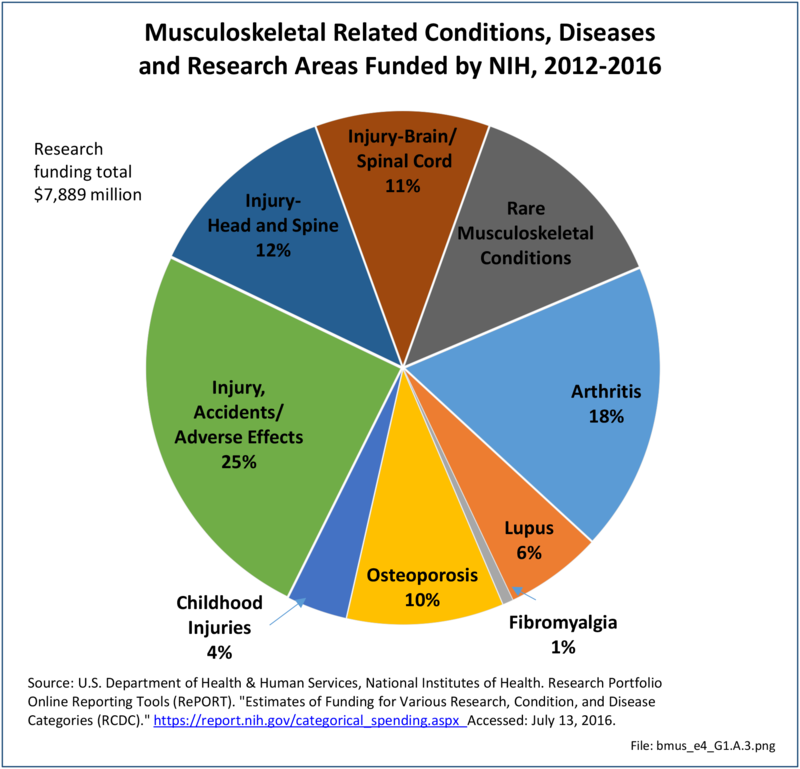 In spite of this, research funding for musculoskeletal-related conditions remains substantially below that of other major health conditions, such as cancer and respiratory and circulatory diseases. 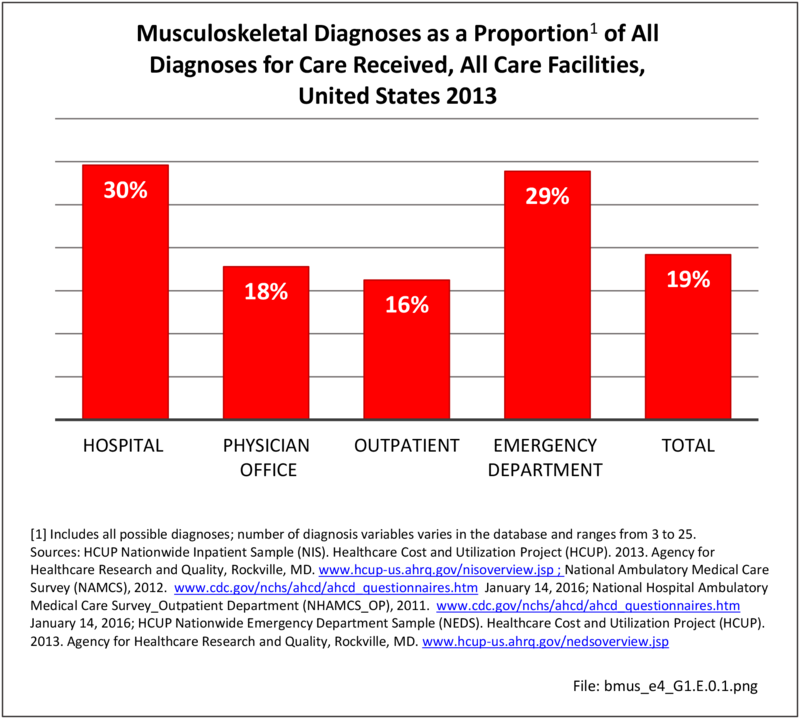 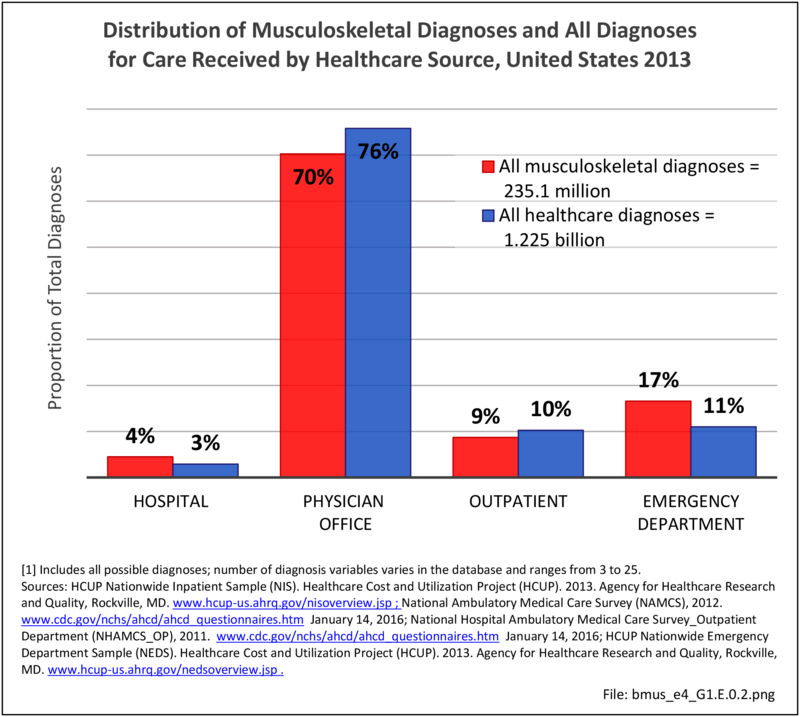 If healthcare costs in the future are to be contained, musculoskeletal diseases must come to the forefront of medical research efforts.